Will Depression And Anxiety Disorders Damage The Brain If Left Untreated? The unending toll that depression and anxiety can take on one's life has been well-documented, but recent studies have shown a much more lethal (and long term) outcome. New Neuropsychiatry, which combines the study and relation of psychology and neurology in order to better understand how the form and function of one's brain determines the psychological process, has found that untreated mental illnesses (namely depression, anxiety, schizophrenia, and bipolar disorder) can leave key areas of the brain significantly damaged when left untreated. However, many with depression and anxiety report the inability to remember things correctly, as related to cognitive dysfunction. For example, someone suffering from depression and/or anxiety may have trouble with decision-making, or following through with plans, and “brain fog” may be routinely cited. To-do lists can remain incomplete or forgotten altogether, and instructions given by another can be a great source of discomfort and embarrassment. MRI brain scans have shown that all of the above symptoms are in fact visible abnormalities of the brain. Over time these areas of the brain may shrink and show signs of severe alteration. A recent studied conducted by German academic Thomas Frodl compared the brains of people with depression and anxiety disorders with the “healthy” brains of those who reported no such mental illnesses. Those with depression and/or anxiety had dramatically altered brain areas in comparison to those who did not, and Frodl continued to study his subjects for three years, with further alterations being reported in the former category. It's worth noting that the subjects with depression and anxiety did not undergo treatment, i.e. therapy or medication. According to Frodl, “these reductions were found in patients with major depression but not in [healthy] controls.” In short, untreated mental illnesses, however casual or inconsistent in nature, can lead to continual brain damage. In fact, however, this practice has surprisingly damaging effects that are far from progressive in their outcome. Researchers have found that rumination frequently interferes with one's problem-solving abilities, leading to irrational judgement, paranoia, repetitive behavioral cycles, and a worsening of the initial mood. This is due to the toll that such obsessive, stressful thinking takes on the amygdala region of the brain, which controls one's fears. Treatment for such destructive behavior involves encouraging the client to pursue exterior activities and hobbies, such as volunteering, sports, or social events. Such activities divert the focus outward, rather than inward, allowing the brain to be challenged and enriched by healthier pursuits. As countless New Neuropsychiatry studies have shown, incessantly focusing on one's fears and despair seldom leads to a sound conclusion or improvement of circumstances, but rather an increase in the severity and duration of the cycle. Taking pleasure in life is next to impossible when one is steeped in rumination. There is a silver lining to all of this. 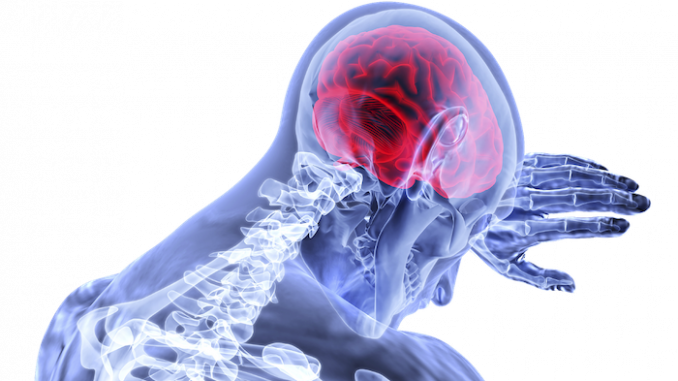 Contrary to what the reader may fear, New Neuropsychiatry assures us that the brain does in fact retain plasticity throughout one's life, meaning remission is absolutely possible with dedicated treatment. As Frodl himself notes, “It is likely that an early start of treatment with therapy may prevent neuroplastic changes” Our brains are designed to grow and improve upon mental stimulation and self care, and this elasticity needn't be permanently altered due to depression and anxiety, which have been reported in over 3.4% of the US population. There are many available options for treatment, such as medication and holistic therapy, as well as counseling in the form of online therapy and in-office services. Pursuing a productive, activity-rich lifestyle can also be extremely beneficial, with both physical and dietary considerations proving to be crucial components of a well-rounded mental balance. Compare BetterHelp vs Talkspace: How Are The Platforms Different? MyTherapist: How Does it Measure Up to Other Online Therapy Platforms? 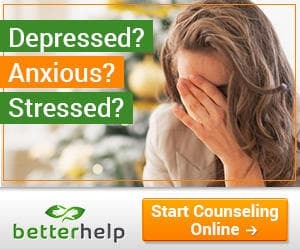 Copyright 2018 OnlineTherapyReviews.com. All Rights Reserved. Copyscape Protected. If you are in an emergency situation, dial 911.